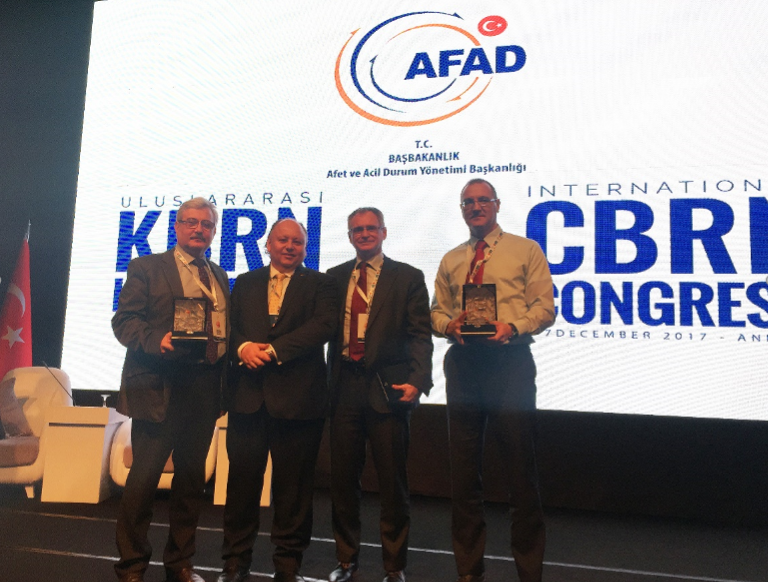 The International CBRN Congress was hosted and organized by the Prime Ministry Disaster and Emergency Management Presidency (AFAD), the coordination authority in Turkey regarding national disasters and emergencies. 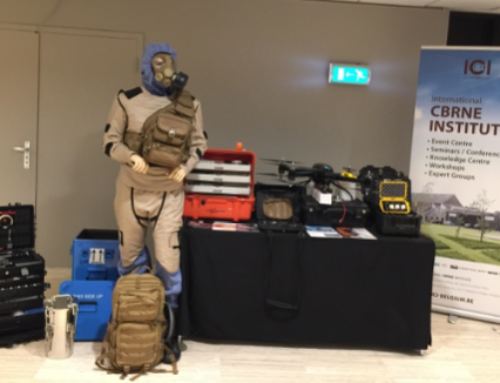 The Congress aimed to share knowledge, new technologies and experience from the field of the CBRN with the contribution of internationally renowned experts and academicians. More details about the Congress, can be found at www.cbrncongress2017.org. Olivier Mattman, the HZS CEO, stressed during his presentation importance of realistic trainings for CBRN emergency preparedness. It’s almost universally agreed that the threat of use of CBRN agents is existing and becoming more complex. Forensic aspects and emergence of improvised devices with CBR payload are forcing both military and civil organisations to provide solutions for changing needs and threats. While tactics, techniques and procedures can be developed to meet this demand, only training and exercises with authentic or “live” agents ensure that new systems work in the environment they are designed for. Training with live agents provides clear advantages over training with simulants alone. Stress levels, decision making capability and work rates all show improvement after the completion of live agent training. Oliver Terzic, HZS R&D manager, discused importance of the sampling applied in recognition, confirmation or investigation of CBRN events. Such events can provide diverse sampling opportunities and challenges. Oliver presented sampling approaches, tools and shared some of his experience from participation on different field missions of United Nations – Organisation for the Prohibition of Chemical Weapons in the Syrian Arab Republic, conducted in period 2013-2015. Yaugen Ryzhykau, HZS Senior Consultant, provided overview of different types of chemical weapon (CW) destruction technologies and discussed their operation effectiveness, safety and the lessons learned during his career in this field. He also presented new developments in this area. The countries that possess chemical weapons and that are members to the Chemical Weapon Convention are required to use safe technologies for their destruction. The CW destruction technologies have been developed to destroy assembled unitary chemical weapons (artillery projectiles, mortars, air bombs, rockets, rocket warheads, spray tanks), CW agents stored in bulk, binary munitions and recovered CW munitions. 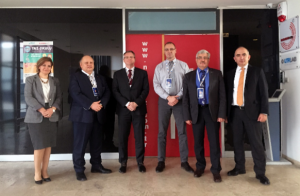 HZS participants were greeted by Prof Dr. H. Avni ÖKTEM, CEO of NANObiz® – NanoBiotechnological Systems R&D and Consultancy Ltd. Co, the HZS partner company in Turkey, and his colleagues.